Twickenham hospitality perfectly combines all the finest elements of international rugby and VIP entertainment. In this majestic stadium boasting cutting-edge corporate hospitality facilities. We are proud to offer a range of exceptional Twickenham hospitality options. Each package at Twickenham offers, exceptional fine dining and some of the best views in the house; an unbeatable combination for a truly outstanding experience at every Twickenham event. No matter which fixture you find the most attractive, you can find an outstanding range of official corporate hospitality at Twickenham Stadium, allowing you to impress your VIP guests with the plush premier seating, sumptuous dining options and more, whilst you enjoy the compelling drama of each match. It’s the perfect formula for a fabulous day of entertainment at the home of English Rugby. Rugby fans from across the globe flock to the centre of English rugby for what is bound to be an impressive match. Whether spectators are hoping to soak up the distinctive atmosphere from the Quilter Internationals, or to attend the much-anticipated Six Nations fixtures, there’s an event for everyone at the stadium. Twickenham hospitality guests will experience the day in style with exclusive access to premium hospitality suites. You’ll witness every kick and tackle as you enjoy dining at a private table. What could be better? You will experience these unforgettable views that cannot be replicated by a TV screen. You’ll enjoy gourmet dining accompanied by tasteful fine-wines served by your hosts, accompanied by the unique pre-match atmosphere. Then, you’ll take your seats to see the pitch prior to the match starting, giving you the chance to get comfortable and mingle with your guests. Once the final whistle has blown, it’s not the end of your Twickenham hospitality experience; guests will have the opportunity to relax and enjoy their premium hospitality once more as the crowds make their way through the hustle and bustle to exit the stadium. Post-match tea and other snacks will be served to guests as they discuss the highs and lows of the game. If you’re looking to witness your team in action and experience a competitive vibe that you’ll never forget, Hospitality Finder provide the perfect packages for the ultimate experience. Whether you’re hoping to catch a glimpse of Dylan Hartley directing his teammates, or to listen to the staggering noise made by French rugby fans when they clash against England, we offer several hospitality packages for a range of matches at Twickenham. Our guests have a dream experience that always leaves them wanting more, which is why our customers come back to us year after year. As the largest and most famous rugby stadium in the world, Twickenham offers one of the finest sporting experiences available. To the average rugby fan, Twickenham is more than just a stadium, it is sacred ground where dreams are made and upcoming stars make their name as the future of English rugby. Rich with history, Twickenham was built in 1902 with the dedicated purpose of providing a home to rugby fans nationally. Prior to its famous rugby heritage, the grounds of Twickenham were used to grow cabbages, hence the popular nickname ‘cabbage patch’ amongst the most devout supporters. Hosting 82,000 roaring fans, Twickenham is the second largest stadium in the UK. You’ll sit in the venue that’s been host to two world cups and feel like a winner with our premium Twickenham hospitality packages. The Green Room returns to the home of England Rugby. Twickenham Stadium has had an exciting redevelopment, providing a new aesthetic which will further enhance the Hospitality experience but don’t worry, the essence of The Green Room hasn’t changed one bit. You will still be entertained by Legends of the game who will regale you with their stories of past Internationals and an informative level of punditry that you will not find anywhere else. 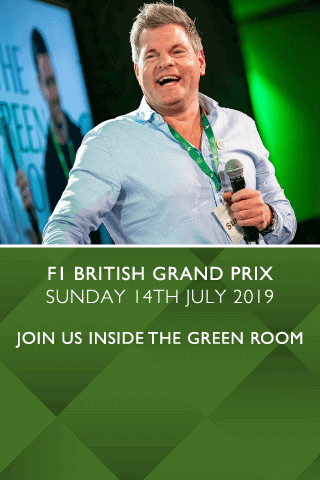 Join Green Room regulars Lawrence Dallaglio, Mike Tindall and some new faces, as our legendary host Mark Durden-Smith, pushes and probes them to relive stories of their finest achievements. Providing you with a truly interactive experience, where you will be immersed into an environment that is the very epitome of all that is great about international rugby. All while enjoying an unparalleled level of exuberance, courtesy of the world class hospitality Twickenham Stadium has to offer. During your Green Room Twickenham hospitality event, some of the biggest names in rugby will take the stage to sit on our guest panel to answer the anticipated questions of the game. The exuberant hospitality, star-studded guest list and excitement of the game itself will provide an experience that’ll leave you wanting more. Once you visit the Green Room, you’ll never want to experience the game any other way! Hospitality Finder is delighted to offer an exclusive range of Twickenham corporate hospitality packages. Rugby lovers will revel in the bundles we offer, whether two or ten guests accompany you, we enjoy making every experience unique so each guest will remember their day for years to come. Since Twickenham hospitality is in such high in demand, we recommend you enquire as soon as possible with one of our rugby events management team. We understand how important this day can be for our visitors. Schmoozing clients, networking or simply enjoying a family day out requires high quality and exceptional service. Hospitality Finder has been rated 5 stars by our customers on Trustpilot, so we know our stuff when it comes to creating the perfect hospitality experience. We like to make you feel at home with added grandeur so that you have an experience to remember. We don’t just offer rugby hospitality events at Twickenham, we offer a range of events across top sporting events across the country. From Six Nations Hospitality experiences to the Aviva hospitality we are trusted suppliers of the country’s biggest venues, so there are plenty of events to choose from. We strive to create value-for-money events that are worth splashing the cash for, as we believe that every rugby fan should be able to experience what we have to offer. What if rugby isn’t the game for you? No worries! We also cover a variety of sporting events, including motorsport, racing, golf and non-sporting events like concerts and comedy nights. Explore our website to find out more, or contact one of our friendly, expert team to discuss your needs.